If you have another chance in Hoi An, go across the bridge over the river. 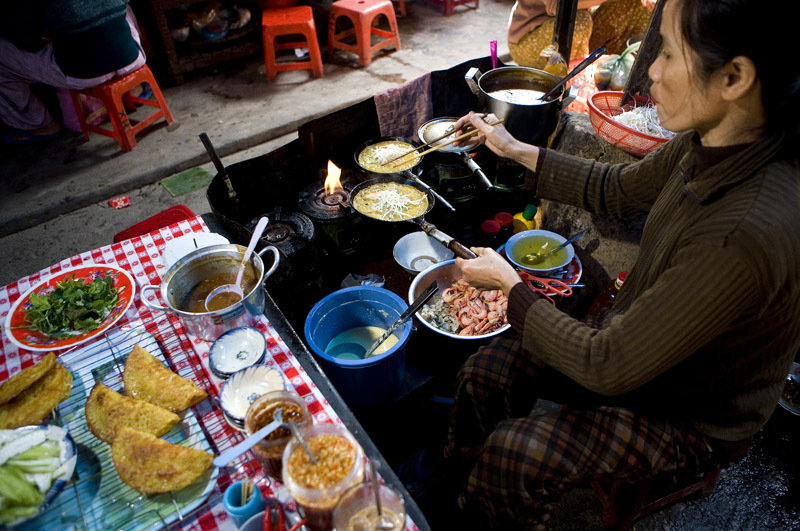 There you will find several restaraunts in a row selling hen tron, banh dap, and che bap. The hen tron is amazing. Tiny tiny little clams in a mound with fried shallots and peanuts and a delicious sauce, served with 2 kinds of banh dap. Really captured the mood of the outdoor markets! Dat - yes, I miss it already. Hi Aariq - I'm wondering when you were last in Hoi An. If you're referring to the strip across the river from the covered Japanese bridge, it's being remade (ie. tartened up) into hotels/high-end bars and restaurants. When we were there many places had yet to open, and there looked to be just one place focusing on Vietnamese food (for tourists). No vendors in sight, unfortunately. Or are you referring to across the river via the bridge over by the market? Outside of the market, and a few nice bowls of Cao Lau I'd found, I wasn't very impressed with the food in Hoi An, or with Hoi An in general as I recall. In retrospect I'd gladly return, though. Great photos! Looks like a great meal! We are in Asia doing research for our restaurant and we just left Hoi An and found the market to be the best place for good authentic food! We drooled after seeing your blog remembering how lucky we were to come across the ladies in the market. 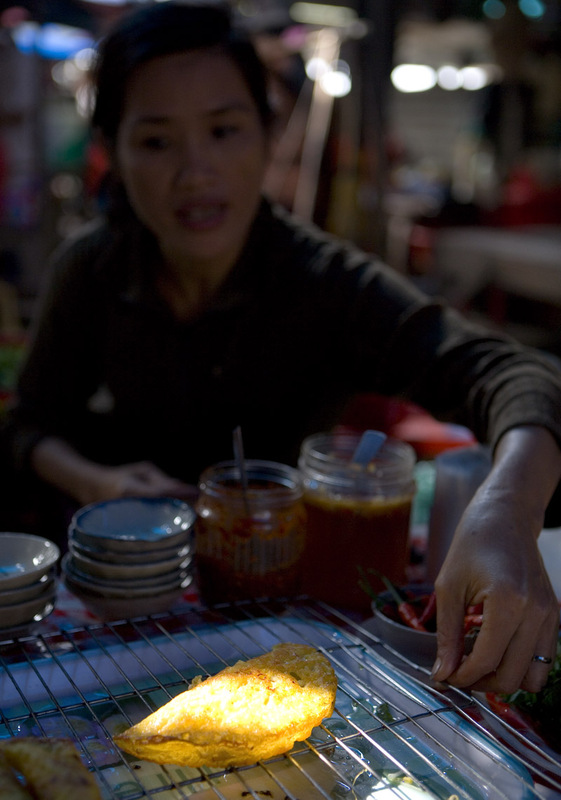 I really like Banh Xeo!! Simple yet so delicious! 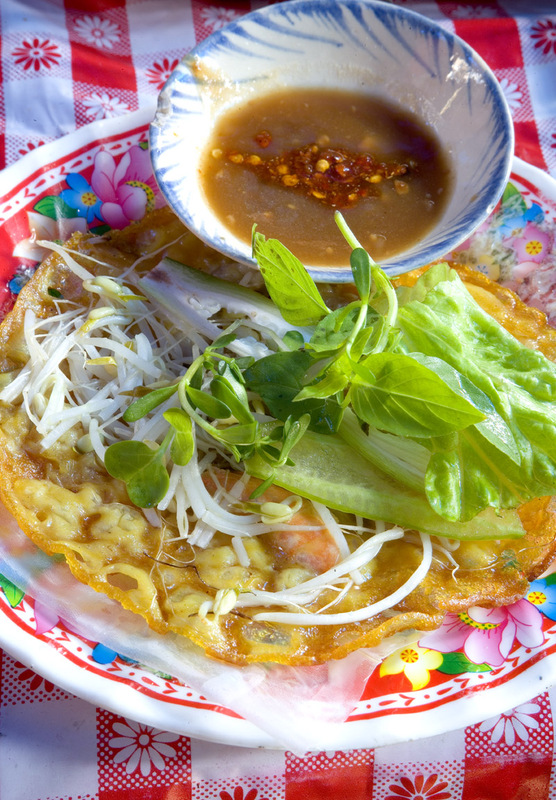 we have a favorite restaurant for banh xeo here in San Jose...I shall have to keep my eye out for this dish. I'm talking about the bridge over the river by the market. We wandered over that way because our guide book said something about a wood carver, but we found nothing much over there except 3 or four restaraunts all serving hen tron, banh dap, and che bap. I find myself missing home while reading your blog. I am a Vietnamese but never had a chance to make my way to many cities. 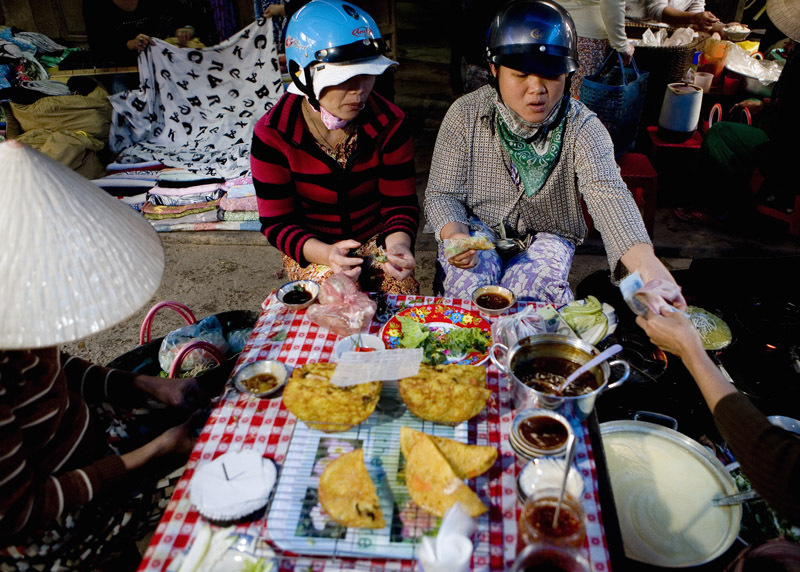 And you might say I am partial but I always prefer food in Dalat. If you visit, there are so many dishes that you should try. 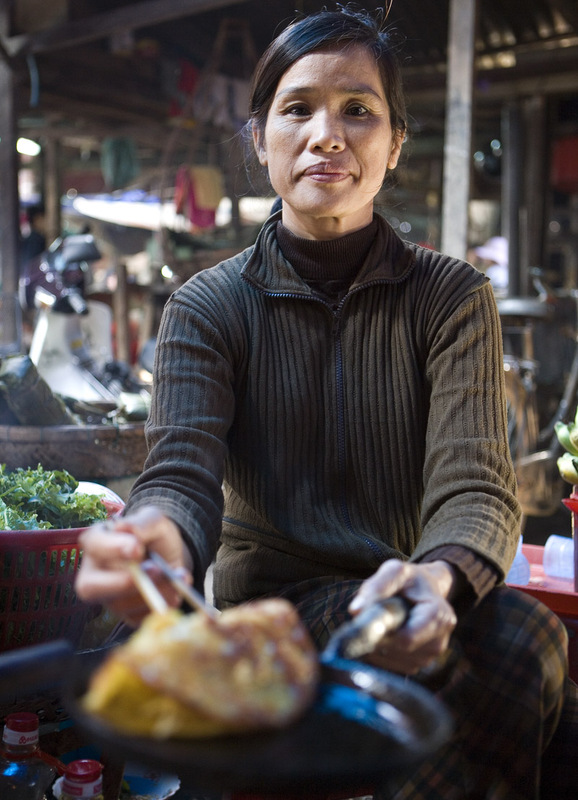 Food in Dalat, in my opinion, is distinct for the plethora of vegetables served with virtually any dish. 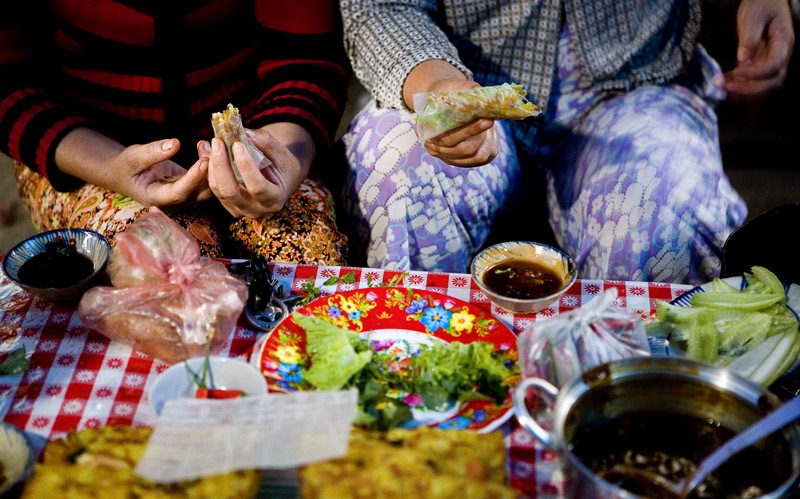 Dalat is, after all, the city of flowers and vegetables in Vietnam.